The UN Security Council has agreed to begin drawing up new sanctions against North Korea over its fifth and reportedly biggest nuclear test. The decision was taken at an urgent meeting of the 15-member council. 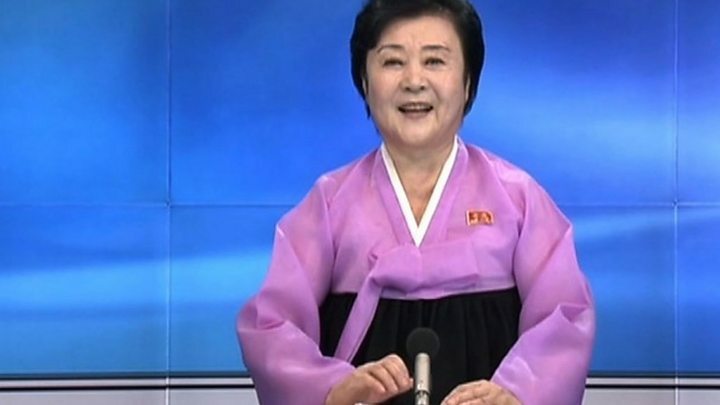 South Korea earlier accused the North's leader Kim Jong-un of "maniacal recklessness". China said it "firmly opposed" the test, while Japan "protested adamantly". Pyongyang has carried out two nuclear tests this year despite the UN ban. Kim Jong-un's rhetoric has also become increasingly aggressive, analysts say. North Korea nuclear test: Is it important? Could North Korea carry out a nuclear attack? Before the closed-door UN Security Council meeting, US Ambassador Samantha Power said that "North Korea is seeking to perfect its nuclear weapons and their delivery vehicles so they can hold the region and the world hostage under threat of nuclear strike". "We will take additional significant steps, including new sanctions to demonstrate to North Korea that there are consequences to its unlawful and dangerous actions," she added. He said the French position was that "new sanctions are indispensable". The isolated, nominally communist nation has been subjected to five sets of UN sanctions since its first test in 2006. Talks involving world and regional powers have failed to rein in the North's nuclear programme. In its statement announcing the underground test, North Korea expressed anger at the "racket of threat and sanctions... kicked up by the US-led hostile forces" to deny a "sovereign state's exercise of the right to self-defence". The test came on the country's National Day, which celebrates the founding of the current regime and which is often used as a show of military strength. Technically, the North said the test was aimed at further developing the miniaturisation of nuclear warheads so they could be mounted on ballistic missiles. In its statement the North said it could now produce "at will, and as many as it wants, a variety of smaller, lighter and diversified nuclear warheads of higher strike power". In recent months, the North has conducted a series of ballistic missile launches and has in the past often stated its aim of hitting US targets. The North has previously made claims on "miniaturised" nuclear warheads but they have never been independently confirmed. What North Korea's opponents can actually do is problematic. After the fourth test in January, China agreed to impose tougher UN sanctions. Further and even tougher sanctions are still possible, like blocking the export of fuel oil to North Korea. That would be a drastic step which might halt the economy and cause serious suffering to ordinary people. China's bottom line is that it does not want the collapse of the regime in Pyongyang if that leads to a chaotic power vacuum, possibly filled by the US and its allies. North Korea has also been angered by a US and South Korean plan to install an anti-missile defence system in the South and by the allies' massive annual joint military exercises, which are still taking place. The North's recent actions have sorely tested its only ally, China. It condemned January's test and repeated that on Friday after the latest. China's foreign ministry said it would lodge a diplomatic protest and urged North Korea to avoid further action that would worsen the situation. United States - President Barack Obama condemned the test saying he had agreed with South Korea and Japan to work with the UN Security Council "to vigorously implement existing measures imposed in previous resolutions, and to take additional significant steps, including new sanctions"
Japan - North Korea is an "outlaw nation in the neighbourhood"
South Korea - "Such provocation will further accelerate its path to self-destruction"
Russia - "We insist that the North Korean side stop its dangerous escapades and unconditionally implement all resolutions of the United Nations Security Council"
UN Secretary General Ban Ki-moon - "I count on the Security Council to remain united and take appropriate action. We must urgently break this accelerating spiral of escalation"
The International Atomic Energy Agency - a "deeply troubling and regrettable act" that is "in complete disregard of the repeated demands of the international community"
The latest test was announced on state TV hours after a 5.3 magnitude tremor was detected near the Punggye-ri underground nuclear site. Estimates of the explosive yield of the latest blast have varied. South Korea's military said it was about 10 kilotonnes, enough to make it the North's "strongest nuclear test ever". Other experts say initial indications suggest 20 kilotonnes or more. The bomb dropped by the US on Hiroshima in 1945 had a yield of about 15 kilotonnes. North Korea nuclear test: Why now and why does it matter? North Korea's nuclear programme: How advanced is it? North Korea nuclear tests: What did they achieve?